Grammy's Attic: "I'm a Little Bit Country"
This is gorgeous Connie, the image is so adorable and beautifully coloured. Love the dies you have used and pretty ribbon. There I am! LOL! Not really since I don't know how to play the guitar. Love your card though and the way you used the image on the frame. Love this little lady, she sits very nicely on the great dies, lovely colours too. For some reason I am having Country as background music when I "play", must be my age LOL. Thanks for the great visit :) I'll send some of our rain to you, although we have had it dry for a week now, so lovely to see sun here. I remember that song and their short-lived show too. I was ga-ga over Donny Osmond when I was a teenie-bopper. Your card is darling. 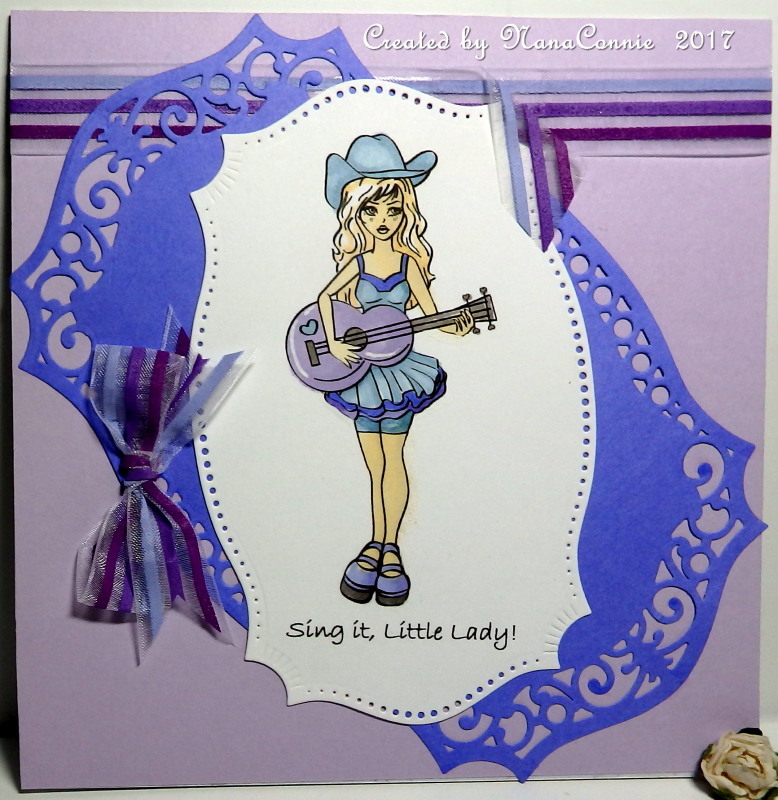 I am a big fan of both Rock 'n Roll and Country and quite adore your country girl card. The die cut is beautiful!. Your daughter will love it for sure!